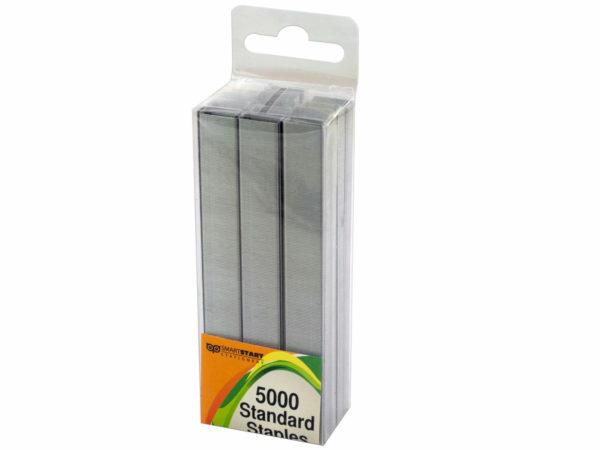 Stock up your home and office with these Standard Staples featuring standard size silver metal staples in stacked rows. Comes with 5000 staples. Comes packaged in a hanging box. Box measures approximately 1.625" x 1.125" x 4.25".